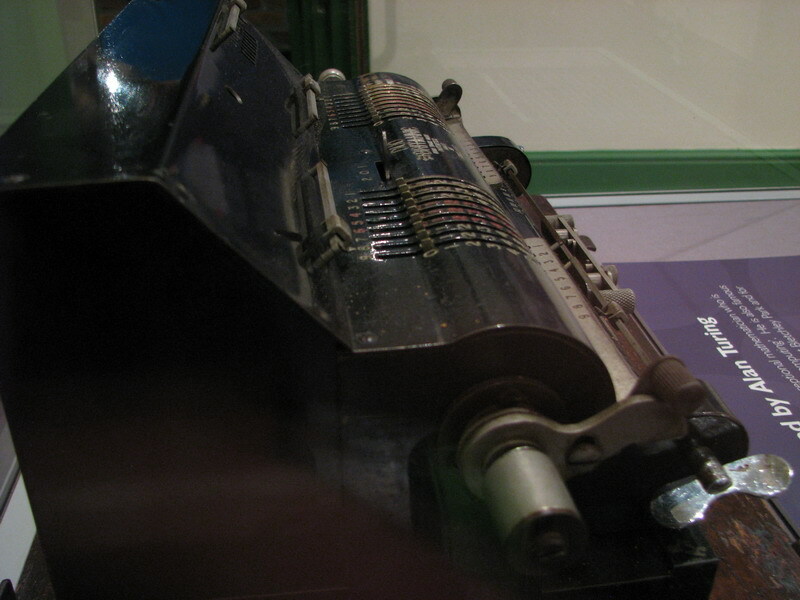 This is a story about a bit of serendipity, and Alan Turing's calculator. 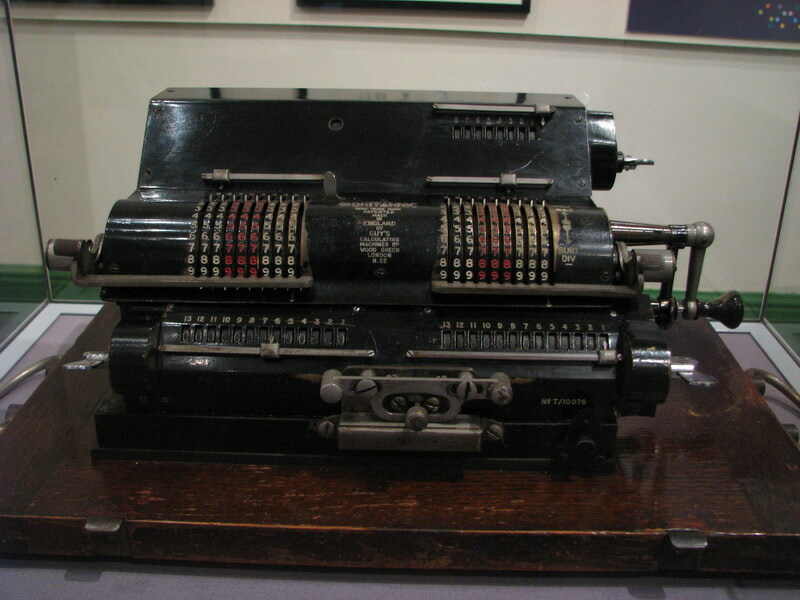 I received an email from an estate liquidator, who inquired about my interest in two calculators from the estate of a retired engineer. I looked at the pictures, decided that they would be worth buying, and made him an offer. 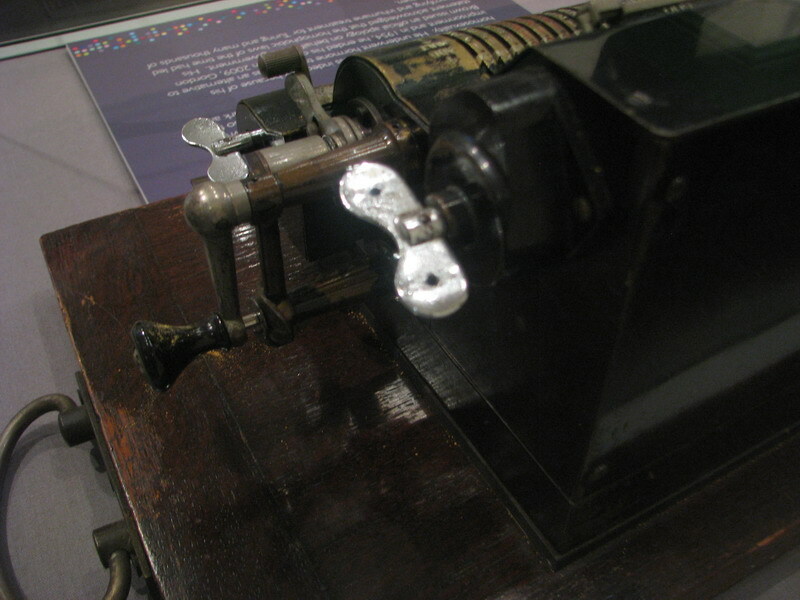 They were an Odhner LUSID and a Brunsviga MA ("Midget"). Shipping two calculators is more difficult than one calculator, postage from the UK is expensive, and it perspired that he was in Manchester, to which you can fly from Charleroi in an hour, for the round price of 40 euros, while the two calculators were just within the allowed weight limit for carry-on luggage (although they did raise a few eyebrows at the security check in Manchester). Honestly, those kind of practices ought to be outlawed. 40 euros for a two-way flight to the UK ?? Anyway, it did seem like a nice day out, the flight arriving in Manchester at noon, and flying back out at 7 pm, which left me some time for meeting up at the airport, receiving the two calculators, and take a train into town to visit (what else) the Museum of Science and Industry (MOSI). This is one of the oldest railway stations in the world (from before they figured out the concept of quays even) and they have lots of interesting things in the collection, including a small room about code-breaking and early computers, electricity, flight, steam power, railways, wastewater treatment, etc etc. In a small room in the very old station building, there was an temporary exhibition about the lesbian, gay, bisexual and transgender community of Manchester. Lots of rainbow flags, a video with interviews playing, children's drawings etc ... and ... Alan Turing's mechanical calculator. 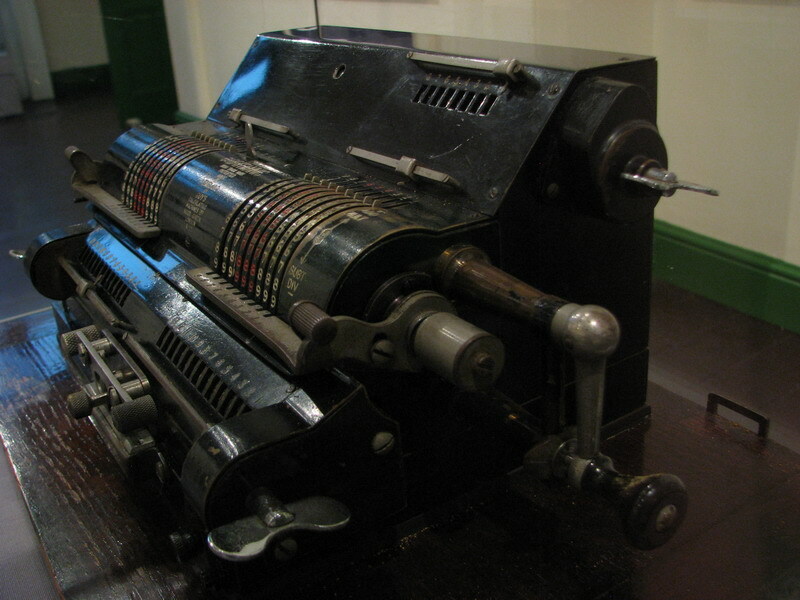 Not just any calculator, mind you - a twin Britannic. First one I've ever come across, so here it is, for your viewing pleasure. Sorry about the glass case, but that could not be helped. It turns out there is another one in the Paradise Mill in Macclesfield. 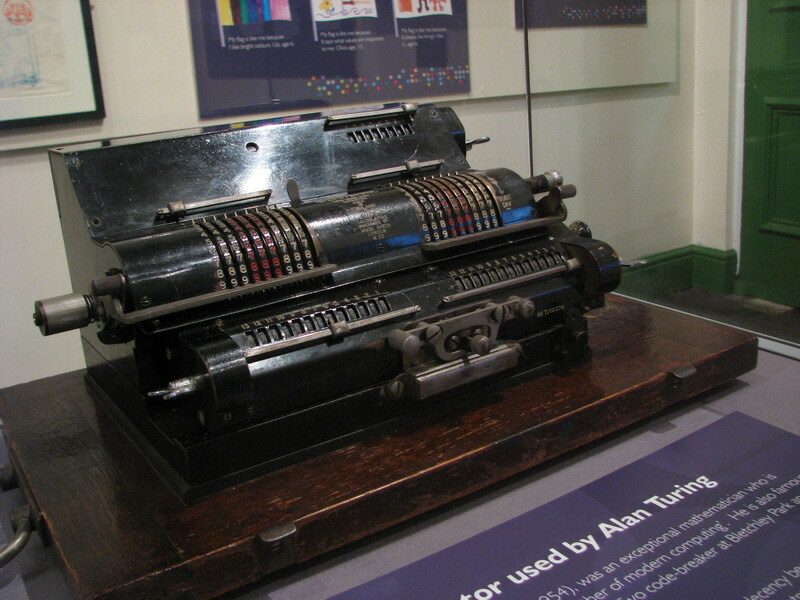 Alan Turing (1912-1954), was an exceptional mathematician who is often referred to as 'the father of modern computing'. He is also famous for his work as a World War 2 code-breaker at Bletchley Park and for his work on artificial intelligence. In 1952, Turing was convicted of gross indecency because of hs homosexuality. He underwent hormone treatment as an alternative to imprisonment, and in 1954, he ended his own life. In 2009, Gordon Brown issued an official apology on behalf of the government. His statement acknowledged that the homophobic laws of the time had led to horrifying and inhumane treatment for Turing and many thousands of other gay men."